All items must be current, purchased new within the last 2-3 years. All items must be in like new condition, no stains, holes, missing buttons, broken zippers, etc. All items must be from a smoke and mothball free home. All clothing must be clean and displayed on hangers. 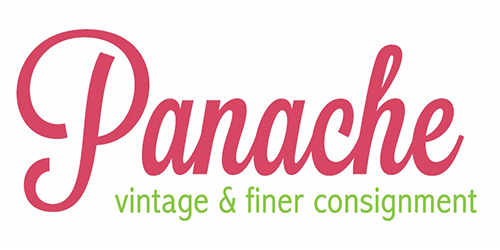 Panache Vintage & Finer Consignment is not responsible for lost, stolen, or damaged merchandise. Please view the brands we love page to see what brands of women’s consignment clothing, shoes and accessories Panache Vintage & Finer Consignment accepts. Panache Vintage & Finer Consignment has different consignment seasons for you to shop the latest trends!